There are just some days where I think about throwing food in the crock-pot and then I forget and am scrambling for food to make for dinner. 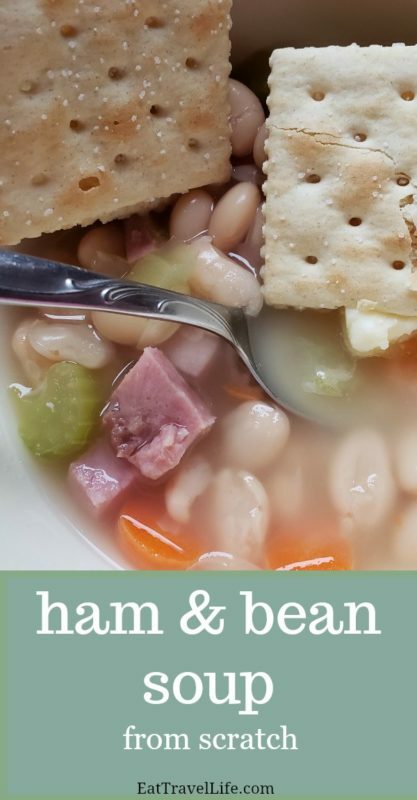 Ham and bean soup makes a great use of left overs. 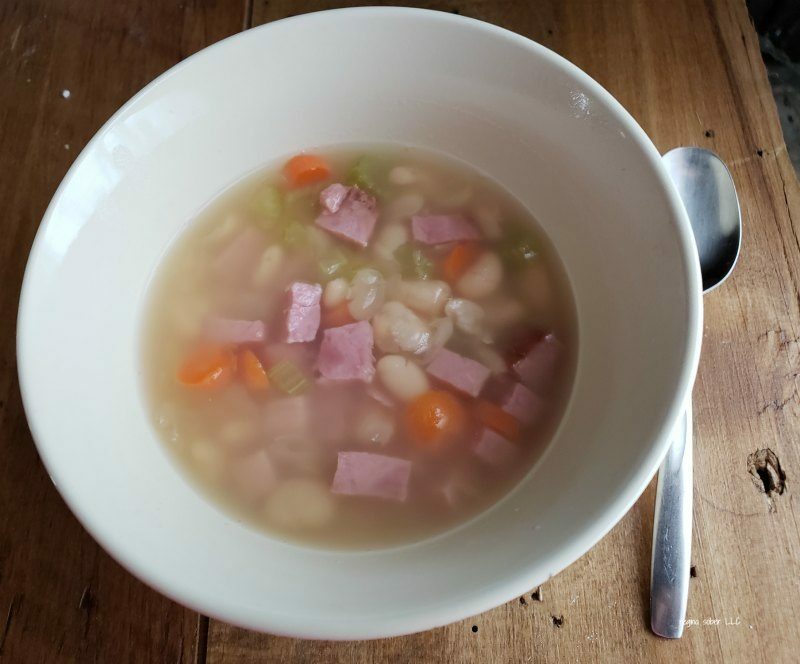 We usually make this soup after making a ham. Making this bean soup recipe makes life a little easier when I need to make something for dinner. It’s a great way to use left over ham and veggies. (we used carrots and celery but you can throw different ones you like too). Bean soup is so forgiving. You can make it to fit your families tastes. 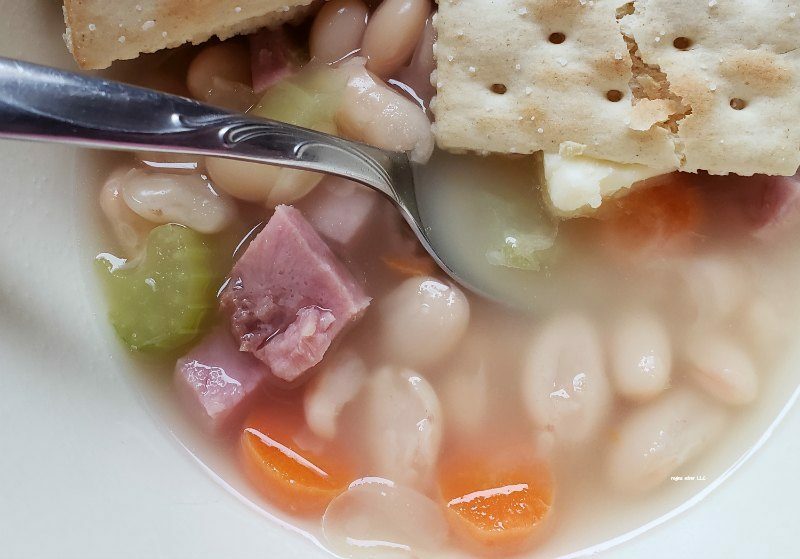 How will you customize your ham and bean soup? 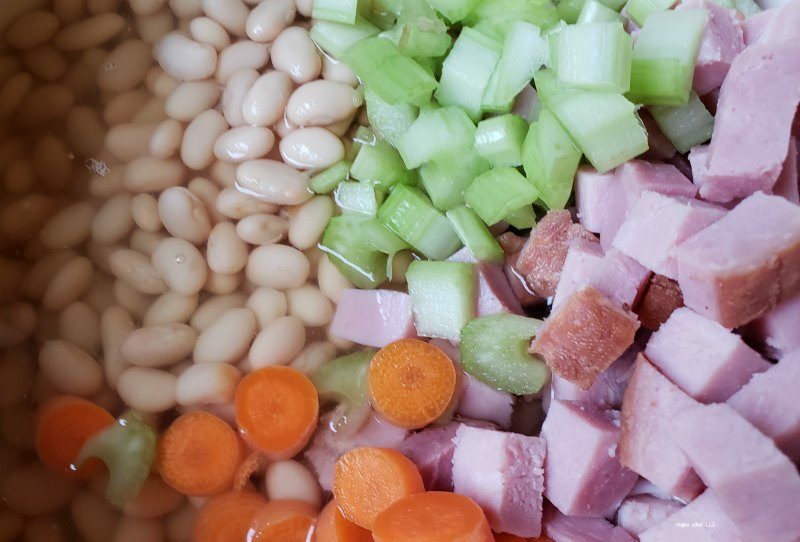 What is your favorite way to make ham and bean soup? In a large pot, add the beans and ham. Add the chicken stock and carrots, celery and cook in medium- low heat. The soup needs to cook until the carrots and celery are softened. Take a potato masher and mash the beans a bit to thicken up the soup. Remove from heat once the carrots are cooked, serve and enjoy.